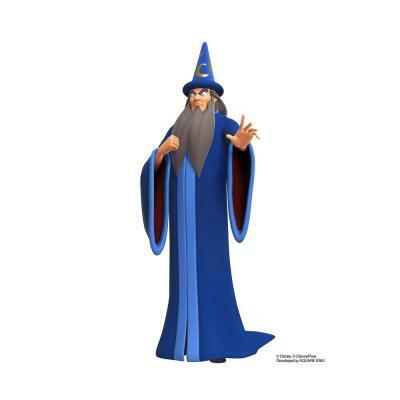 Yensid is an extremely powerful sorcerer who originally appeared in the Fantasia short “The Sorcerer’s Apprentice”. His first appearance in the Kingdom Hearts series was in Kingdom Hearts II. Yensid is a very calm, wise individual who rarely breaks his stoic demeanor. It has been implied at various points that he was once a powerful keyblade master, and possibly the Master who taught Xehanort and Eraqus. However, this has yet to be confirmed and is therefore currently just speculation. Regardless, Yensid has clearly been shown as a prominent figure in the history of the Kingdom Hearts universe, being treated with the highest respect by the majority of the series’ characters.